« What Story Does Your Inn Tell? While visiting Maine, what first comes to mind? Then what’s the next question of your host? 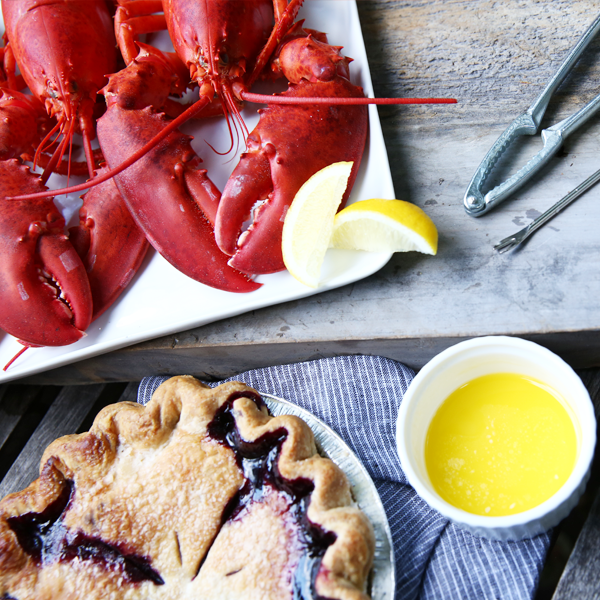 “Where can we get the best lobster and blueberry pie?” Welcome to summertime in Maine. Let’s take a journey to the past and explore the culinary history of the lobster and the Maine blueberry. 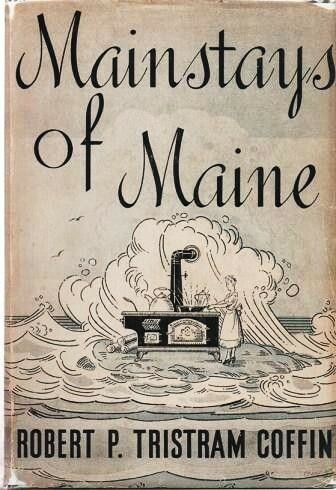 His writings of Maine farm and seafaring lifestyle are classic. Reading Coffin’s poetic words brings to light what life was like in Maine in simpler and hardier times. Of his many books, Mainstays of Maine (published 1945) is a favorite, all about food, but not a cook book. The pages are filled with colorful recollections of family recipes, gatherings around food laden tables and folklore. And what does the land and water produce in Maine? Lobsters and blueberries. Those culinary mainstays of Maine. Here is Coffin’s recipe for Maine lobster. There is a messy etiquette to shelling, but once learned, it comes naturally. And it’s all worth the effort. Don’t wear your best attire. Those little plastic bibs or, better yet, large kitchen towels covering your front are a must. As a side, maybe some local corn, drawn butter and a roll of paper towels. Followed by dessert, any sort containing Maine blueberries. It is not just about the food to complete a culinary experience, but the times and places where they happen. One special place is Monhegan Island. An island 12 mile off the coast of Maine. The Monhegan House restaurant is a favorite of natives, tourists from all over the island and the Inn guests. The restaurant utilizes fresh and local ingredients. Lobsters! For a change of pace, The Novelty (behind the hotel) is open throughout the day and evening and offers delicious pizza, wraps and salads as well as an extensive selection of wine and beer. We also offer hand-dipped Shain’s of Maine ice cream and house made bakery items. 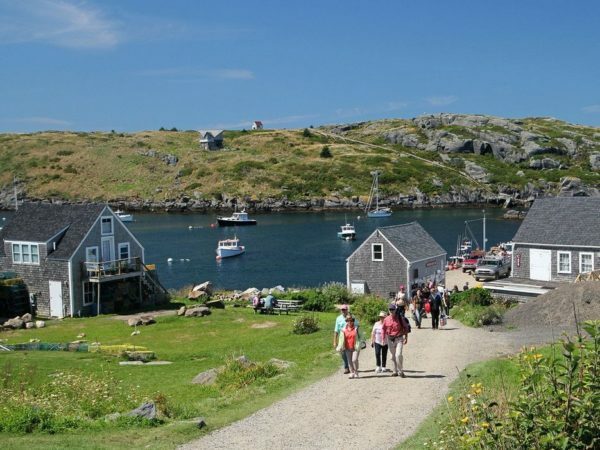 Looking to live the simpler and hardier Monhegan Island lifestyle? 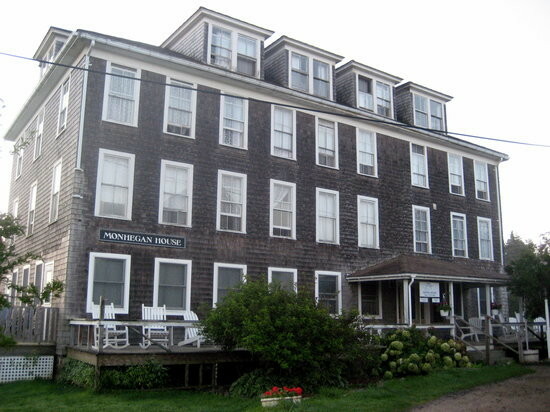 Consider The Monhegan House- A Maine Island Inn for Sale. There could not be a better Maine location to experience what Robert P. Coffin wrote about so many years ago. In addition, The B&B Team has many coastal Maine properties for sale. 21 in fact! PS- And thanks to my Aunt Hennie for teaching me the messy etiquette of hand shelling a lobster. This entry was posted on Tuesday, July 10th, 2018 at 3:03 pm	and is filed under Innkeeping Business, Inns for Sale. You can follow any responses to this entry through the RSS 2.0 feed. Both comments and pings are currently closed.